The machining centre manufacturing group from Guipuzcoa has set the challenge of condensing all its knowledge in promoting its standing through the industrial landing in China, fostering its offer in Germany and North America, and standardising the capacities of Industry 4.0 in its machines with the support of its Smart platform. The importance of its Asiatic wager, on the company’s 65th anniversary, has been defined by the managing director of Ibarmia, Koldo Aranda: “Our objective is for Ibarmia China, the joint venture we have created 50-50 with the local group, SIHI, with the participation of Gonvarri, to reach a workforce of 150 workers with annual sales of over 30 million Euros in five years. This would mean equalling the standing of our headquarters in Azkoitia.”Machine tool production is more intense in large consumer countries, so China is an unavoidable market.And, secondly, the 12th Five-Year Plan and the “Made in China 2005” strategy to promote national production and high-tech sectors will bring advantages for local machinery. In this strategy, the launch of Ibarmia China completed all the legal procedures in 2017, so it was able to start its business activity on the 1st of January, with the configuration of its purchasing, commercial, design teams, etc.The training of the first Chinese team, comprising 9 workers, will start in Azkoitia at the end of February, and the goal is to start to assemble machines at its Shangqiu centre (Shandong), near Beijing, in May. 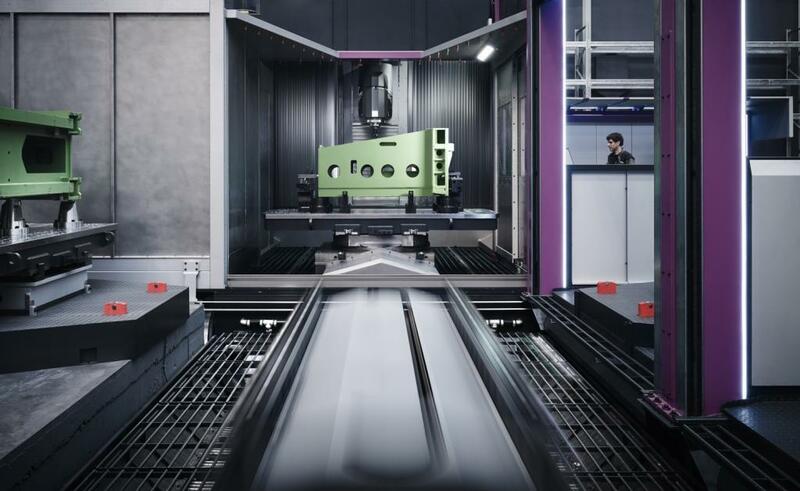 Initially, the Chinese subsidiary will manufacture the 5-axis machining centres, ZVH 45/L1500Star and THR 12, a catalogue that will include other similar range equipment in 2019. Work in this first phase will be carried out at a plant rented from the SIHI group, although the business plan considers moving the activity to a new building at the end of 2019. The initial outlay to launch Ibarmia China will exceed four million Euros, although the project will also include new investments associated with the construction of the future plant as well as the equipment of supplier companies. Ibarmia has created an Industry 4.0 solution, channelled through its Smart platform, which covers the entire new digital demand of machining companies. It can also be implemented in equipment supplied over the last decade.The analytical software included simplifies the understanding and management of the means. The launch of new projects and the improvement of the order portfolio for the year in progress foretells a 65th anniversary as machine tool constructors that will close with a 15 percent increase in sales, which means setting a new historical record and getting close to the 3 million Euro mark.However, they acknowledge that the business margins are suffering great stress in all the markets.